The immersive world of Voiles en Voiles takes place in the world of royal and pirate ships of the 18th century. 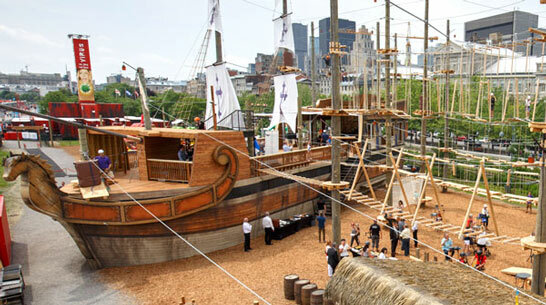 Children and adults can climb aboard life-size replicas of a royal and a pirate ship over 100 feet long and immerse themselves in our imaginary world! 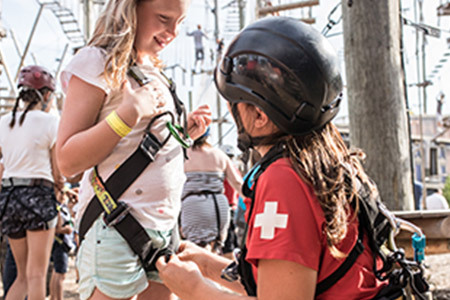 Voiles en Voiles is 100 games in 10 different aerial adventure courses suitable for all age groups. 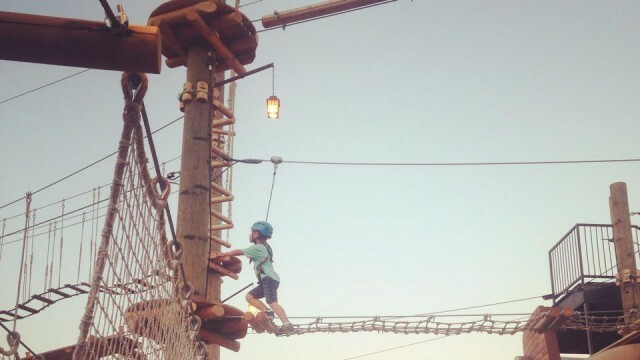 You can hang onto one of the aerial adventure courses ranging from 1 to 10 meters high, climb the wall of the Pirates’ Ship or run through the inflatable playground! The Royal ship transports you to the King's universe! Its large sails will allow you to throw yourself in the air towards the pirate ship! But be careful! You represent the King and must act accordingly. Our Pirate ship is quite majestic! 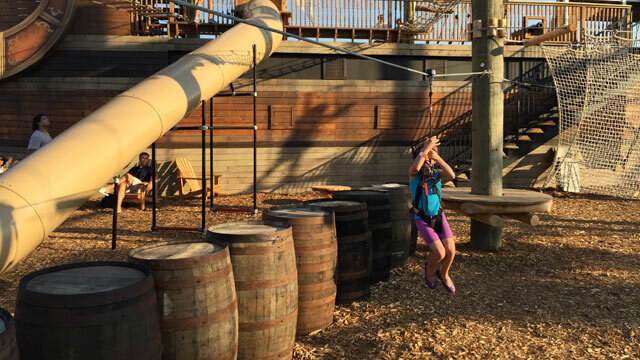 With its 3 sails, 3 floors and an impressive climbing wall, you will quickly be immersed in the world of pirates. It will serve as a starting point for many of our courses. Time to launch an attack on the Royal ship! Safety is our number 1 priority at Voiles en Voiles. To ensure safety, we use one of the easiest and safest systems in the world, Saferoller from the company Kanopeo. Our life lines make it impossible for a participant to become detached during the course. If a problem or sudden feeling of dizziness happens to occur during the course, one of the members of our team, trained for this purpose, can quickly intervene at any time. 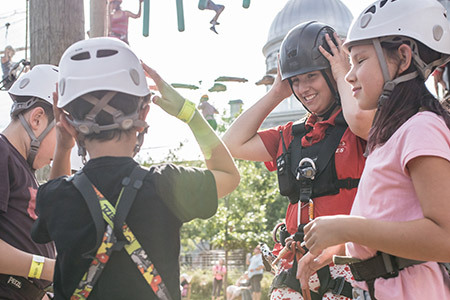 Anyone who wishes to try one of our aerial courses must be equipped with one of our harness and helmet. We own harness with straps adapted for children under 10 years old. 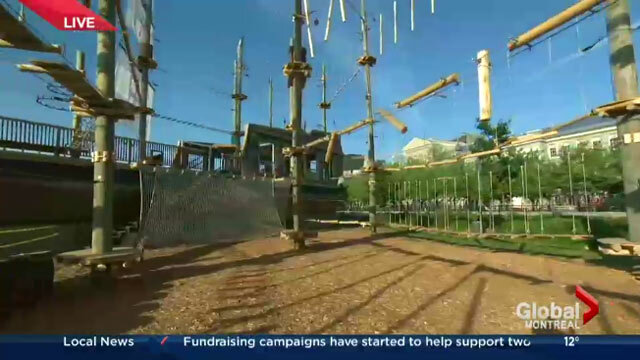 There is no minimum size or weight to climb onto one of the aerial courses. Some courses, however, requires to have completed other courses for children under a certain age. The maximum weight is 250 pounds. 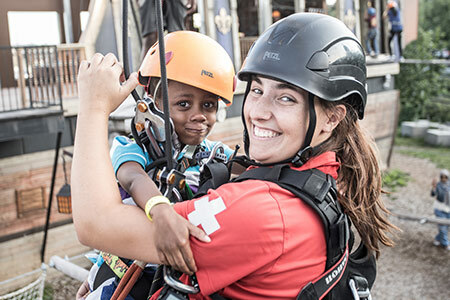 Our patrol team is trained to accompany you or intervene at any time, no matter where you are in the adventure aerial courses. 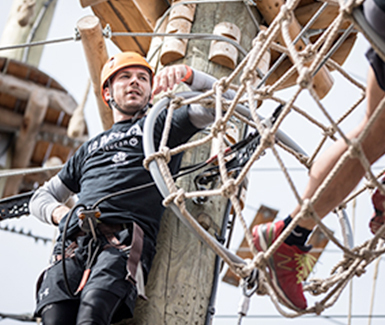 The Leucan Journey, powered by Voiles en Voiles is a thrilling, challenging and slightly competitive event catered for individuals willing to push their limits while contributing to the recovery and the well-being of cancer-stricken children and their families. A wonderful challenge to take on! 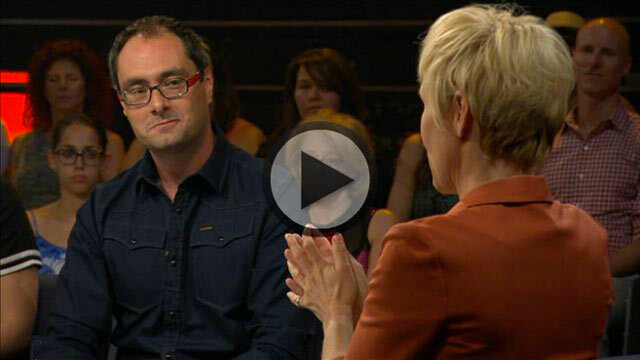 The St-Denis Hosting Help Service welcomes homeless youth in difficulty. A team of professionals offer them individual support in the implementation of personal strategies to improve their autonomy and their responsibility. 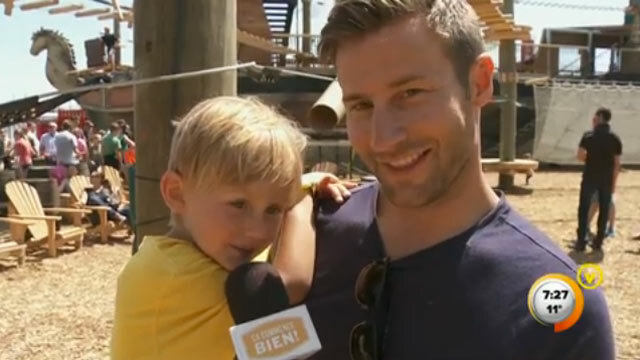 Voiles en Voiles gives $ 1 for each family package purchased. 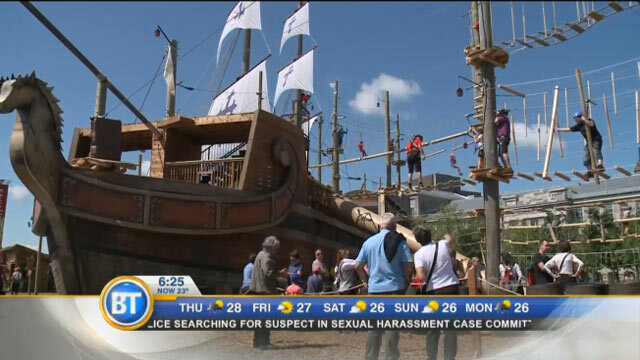 Voiles en Voiles is a company related to Groupe Écorécréo, which specializes in the development and management of tourist attractions in Quebec. 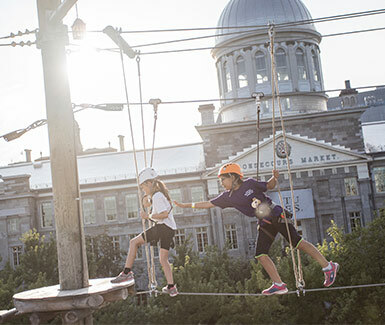 Founded over 17 years ago, the Groupe Écorécréo is one of the largest developer and manager of tourist attractions in Quebec, including, among others, locations at the Old Port of Montreal, Jean-Drapeau Park, Quebec city and at Forillon National Park. Interested in opening up a franchise? 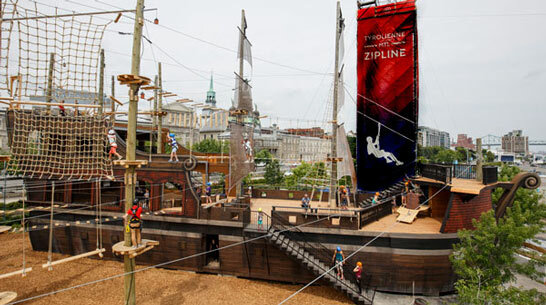 The family theme park, Voiles en Voiles, offers adventure aerial courses (hebertism), all aboard courses, climbing and inflatables in the world of Royal and Pirate ships at the Old Port of Montreal.